This a a wine cabinet with wine glass storage custom made using a clients concept design. 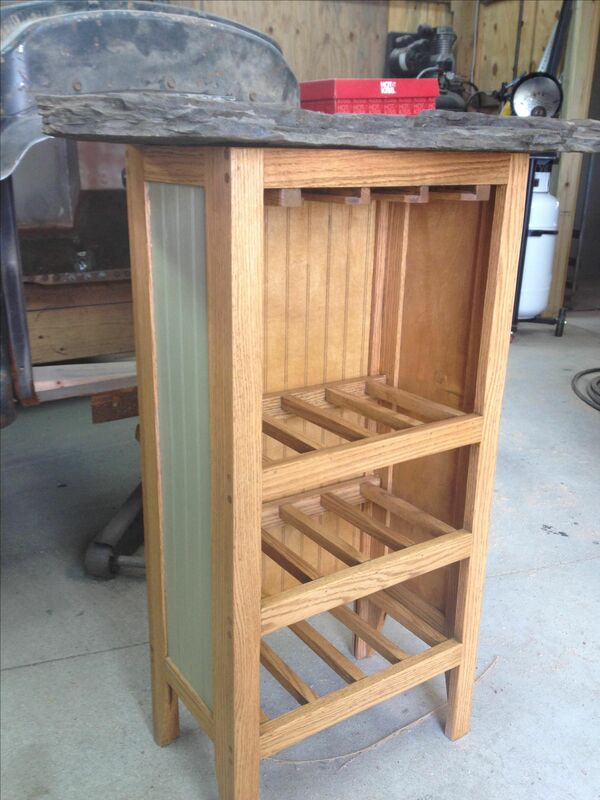 This client's owns and operates a winery, as well as a vacation cottage located in the mountains of Pennsylvania where this beautiful flat stone originated from. 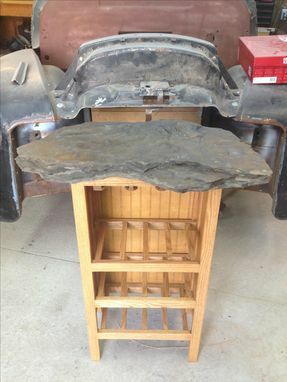 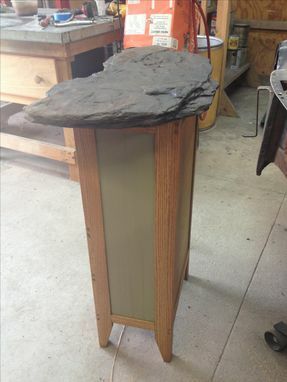 The client asked that I produce a country decor wine cabinet using the flat stone removed from their vacation home in PA.